Nothing can beat the romanticism of the royal train tour on Palace on Wheels that chugs along the scenic routes coupled with historical landmarks. 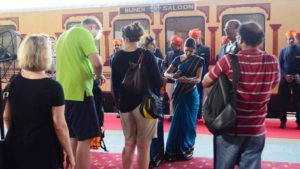 The history of Palace on Wheels is as interesting and fascinating as its journey itself. A definite tribute to the royal tradition of Indian Maharajas, this train travels down to the heart of India’s rich cultural and historical heritage, Rajasthan. Dotted with forts, palaces, lakes, sand dunes and green forestry, Rajasthan is the land where the folklores of yore are still alive. Under the aegis of Rajasthan Tourism Development Corporation and Indian Railways, Palace on Wheels was introduced on January 26, 1982. 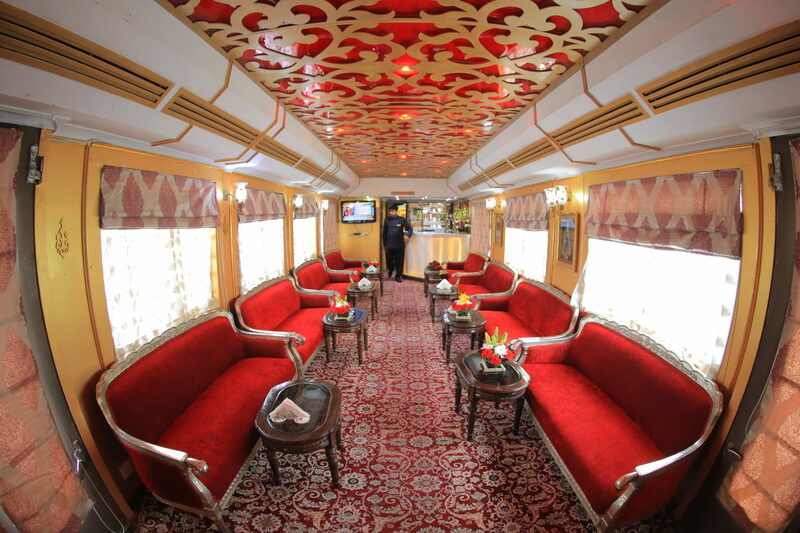 One of the prestigious luxury trains in the world, Palace on Wheels derives its name from the royal background of its guest coaches which are the replica of the personal carriages used by the Maharajas, Nizams & the Viceroys. 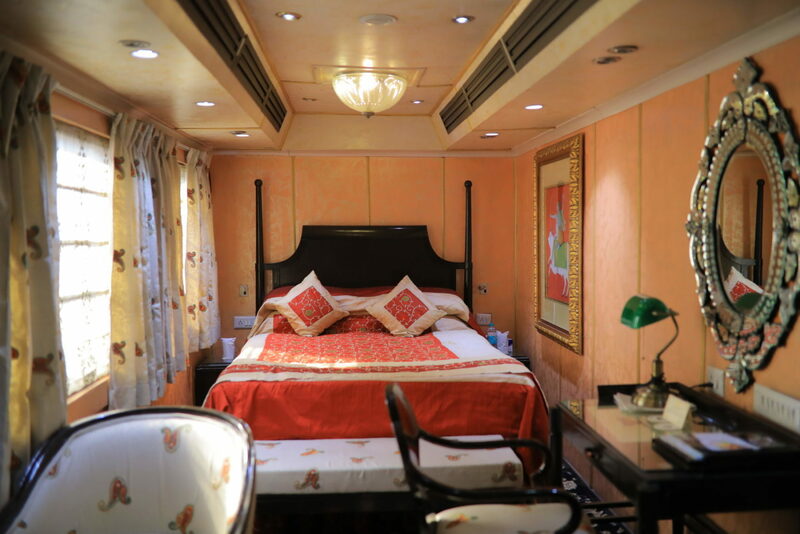 The coaches of Palace on Wheels get their names from the former princely states of Rajputana. There are 4 twin bedded chambers in each coach soaked in the ethnic Rajasthani decor. Each guest cabin is equipped with channel music, running hot & cold water, shower, attached toilets, intercom, and wall to wall carpeting to offer a comfortable and luxurious travel. 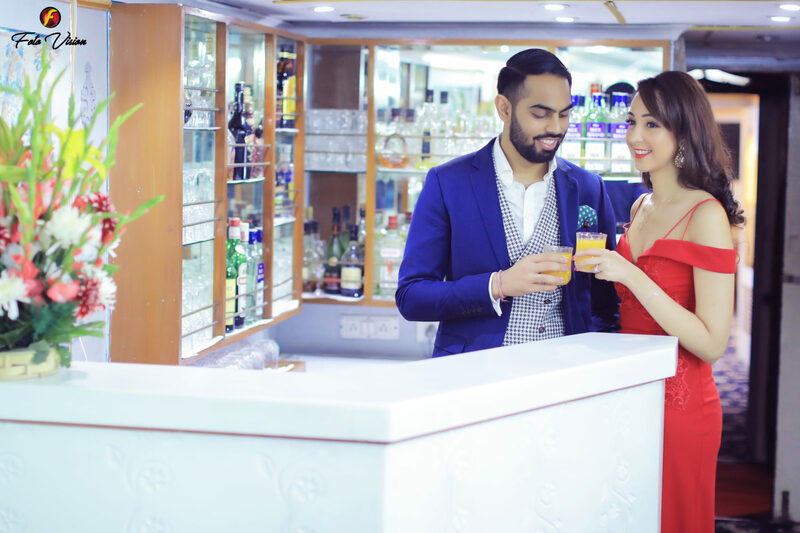 There also is a personal attendant ‘Khidmatgar’ in each saloon catering to the needs of the guests round the clock. 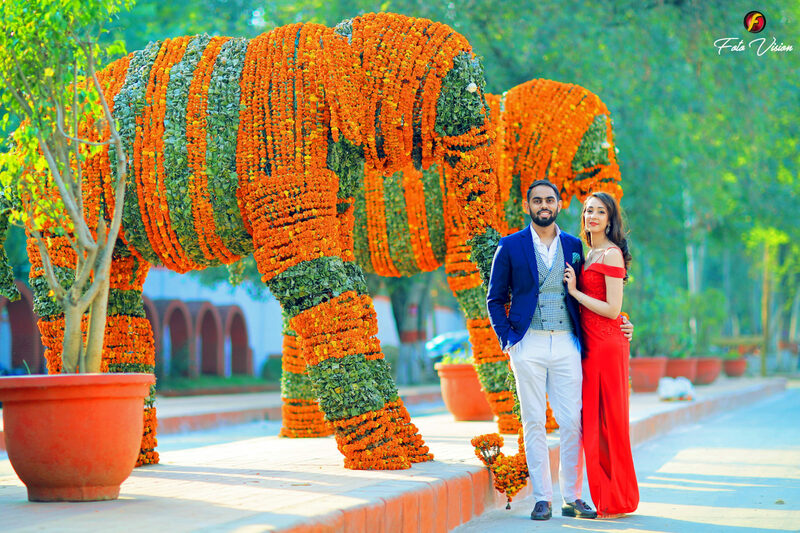 The 14 Guest Coaches of the train meet the aesthetics and interiors of the prineledom they are named after different cities in Rajasthan like Alwar , Bharatpur , Bikaner , Jodhpur , Jaipur , Udaipur and so on. In each saloon, there is a mini pantry and a lounge equipped with television, DVD player and small library. The guests are offered hot and cold beverage along with refreshments and a place to get-together and relax. The most recent addition to the Palace on Wheels is the Rejuvenation Spa Car. 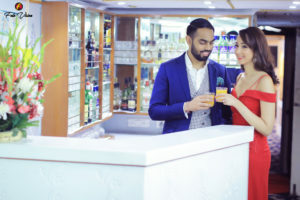 To offer complete comfortable and luxurious experience to the guests on-board, there is a spa where you can opt for a host of Ayurveda treatments, massages and therapies. When you get tired after a day’s sightseeing, visit the spa and relax your mind, body and soul by availing the services of professional spa therapist. The décor of the spa itself creates a great atmosphere where you can simply relax and rejuvenate your senses.